Paleosols are a favourite objection used against the global Flood and the 6,000-year biblical age of the earth. Uniformitarians believe that paleosols (ancient soil horizons) are common throughout the stratigraphic record. Soils are believed to take hundreds to thousands of years or more to form and represent periods of earth history when the area was not covered with water. Thus, it is argued, paleosols could not have formed in the midst of a global flood. However, when two examples of alleged paleosols are examined, one in Missouri, USA and the other in Queensland, Australia, they do not stand up to scrutiny. The loose, friable horizons do not have the diagnostic characteristics of soils and the interpretation of a paleosol is inconsistent with the sequence of geological events required. Instead, the field evidence fits the biblical framework much better than the uniformitarian one. The soils examined did not form by subaerial weathering over a long time but by in situ ‘weathering’ during and after the global Flood. One of the favourite objections against the global Flood and the 6,000-year biblical age of the earth is the claim that ancient soil horizons (paleosols) are common throughout the stratigraphic record. Soils are considered to have formed on land from bedrock due to chemical and biological weathering over long periods. The time envisaged for a soil profile to develop is of the order of hundreds to thousands of years or more.1 Since soils represent periods of earth history when the area was not covered with water, paleosols could not have formed in the midst of a global flood—so the argument goes. One example of this claim is by Joseph Meert, Assistant Professor of Geology at the University of Florida, who used a baseball analogy to assert that paleosols are one strike of ‘three strikes against young-earth creationism’. 2 Which he states are an ‘anathema to young-earth (ye) creationism because they pose such a problem for the concept of the young earth’. ‘If you look at the photo at the top of the [web] page, you will see an excellent example of a well-developed paleosol in Missouri. [Reproduced here as Figure 1, below] The paleosol is developed on a granite dated to 1473 Ma and underneath the upper Cambrian-age Lamotte sandstone.5 Paleosols are fairly common features throughout the standard geologic column … Why are paleosols so troubling for ye-creationism? ‘[Paleosols are] data that clearly refute the notion of a global flood. Paleosols are ancient soils that develop during periods of extensive sub-areal [sic] weathering and they are sometimes preserved in the geologic record. The key is that paleosols are found throughout the geologic column and represent periods of earth history when the region they were found in WAS NOT covered by water. Paleosols in the midst of a global flood are not possible’ [emphasis in original]. Clearly Meert considers that paleosols have the potential to refute the global Flood. We agree! The concept of paleosols provides a good test for any biblical geological model. That we can use the Bible to develop a geological model that can be scientifically tested destroys the oft-repeated claim by evolutionists that ‘creation science’ is not science because it cannot be tested. We’re pleased that Meert acknowledges that biblical geology is a valid, scientific approach. But we do not agree that the biblical flood has been falsified. Let’s consider the evidence a little more closely, because we will see a different story. Second, Meert links the global Flood of the Bible to the Epic of Gilgamesh—a flood story recorded on ancient clay tablets excavated from the ruins of Nineveh more than a hundred years ago. 5, 6 Parallels with the Bible are obvious but the Gilgamesh story has clear fictional characteristics such as an ark the shape of a cube, and rainfall lasting only six days and nights. The tablets are conventionally taken to be the older version of the two stories, so the biblical record is interpreted as being derived from the Babylonian one. This not only implies that the biblical record is fictional, but second rate fiction at that. However, the sheer quality of the biblical record, including plausible dimensions of the ark 7 and the quantity of detail, all described in a sober, matter-of-fact way, mean that the biblical record is eminently credible. John Woodmorappe demonstrated that even the smallest particulars are reasonable. 8 If we ignore the conventional dates assigned to the epic (Middle Eastern chronology is currently in a state of flux and dates are being revised lower9), the more plausible interpretation is that Noah’s Flood and the Epic of Gilgamesh record the same real event in history. The biblical record is the accurate, reliable testimony while the Epic of Gilgamesh is a corrupted version. So, we shouldn’t allow this subtle linkage to Gilgamesh to distract from a proper consideration of paleosols. Finally, we need to ignore the million-year ages quoted in the text and written on the photo. As pointed out on many occasions,10 the rocks do not have ages labelled on them. The ages are an interpretation based on assumptions about how the rocks formed—assumptions which are unprovable. 11, 12 You can obtain any age you like depending on the assumptions that you make. Since they were deposited during the Flood, we would write on the photo that the true age of both rocks, based on a written eyewitness account, is 4,500 years. Now, with regard to ancient soils in the fossil record, it is understandable that Meert believes paleosols are found throughout the geologic column because the concept of paleosols is firmly entrenched in uniformitarian thinking. It is simply a logical application of the uniformitarian framework which takes the processes we see happening today and extrapolates them into the past without discrimination. There is a voluminous literature on paleosols, 13, 14 including numerous books 15, 16 and courses at university level. 17 So it is understandable that people would think paleosols are an open-and-shut case. However, it is only when we consider an alternative interpretive framework and examine the field examples in detail that we find things are not as they are said to be. Soils would exist in the pre-Flood period. However, it is doubtful that any soils from before the Flood would have been preserved through that cataclysm. Most likely they would have been destroyed. 18–20 Nor is there conclusive geological evidence for the existence of pre-Flood paleosols. Soils would form in the post-Flood period and we see soils everywhere today. There would have been rapid development of soil profiles at the end of the Flood as soil-forming reactions would have been accelerated when the land surface first emerged and air was drawn into the exposed layers. Also, the drainage of floodwaters through the surface layers would have caused rapid leeching of fine material and ionic species from one horizon to another. In fact, specific horizons of soil formation are identified in the stratigraphic record in eastern Australia where ‘deep weathering of planation surfaces’ occurred.21 Such unique windows of soil formation may well have been associated with geological processes in the very last phase of draining floodwaters. Finally, after the Flood, normal weathering would have formed soils on the post-Flood land surface within years. A good place to look for a true paleosol is where a landslide has occurred at a road cutting. Because the government builds and maintains roads, money is readily available to clear away the debris, and the slide makes the news, so it is well documented. At such a location we can see the soil profile in section where the road crews have cut away the debris. However, the colluvium (slide debris) needs to be thick enough to isolate the former surface from modern soil-forming processes, typically a couple of metres or more. One important point to make about such paleosols is that their status as a paleosol has been historically established. Let’s look at Meert’s paleosol (Figure 1), which supposedly refutes the global Flood. There would be no question among most creationists that the Cambrian sandstone in Meert’s picture is a Flood deposit. Most creationists would also interpret the granite as a Flood rock although some would possibly consider it to have formed during Creation Week. The way the photograph has been annotated with lines depicting the contact between the ‘soil’ and rock could give the impression that this is a tight case for a paleosol. But we would not expect the material in the photograph to be a soil horizon. (Even if the granite formed during Creation Week, which would mean there was enough time to form soil in the pre-Flood era, we would not expect the soil to remain in place during the Flood). We will see that, not only is it not a soil horizon, but this particular example has more problems than most, and Meert would have been better served to select one that could have been more plausible. Look more closely at the outcrop photographed by Meert along Missouri State Highway 67. Of course, it is not possible to positively identify rocks from a photo at such a distance. One can’t clearly see minerals or textures, or easily discriminate between rock, lichen, mould and shadow. It would be preferable to visually inspect the outcrop. However, at the bottom of the outcrop in the photo we can see a small exposure of pale-coloured rock. It has a granular texture but does not show any clear fabric (e.g. layers or cross-bedding). We can accept that it is granite as Meert has labelled it. Sitting on the Butler Hill Granite on an uneven contact (marked by a line, but otherwise not a particularly obvious contact) is a material of similar colour and texture. However it appears to be loose and friable. To the left there are a few larger clasts scattered on the surface. There does not appear to be any horizontal layers or horizons in this loose material. This material is labelled ‘Paleosol’ on the photo and appears to be about half a metre thick (judging from the height of the plants). Sitting on this ‘loose’ material on a distinct, straight, horizontal contact is a thin exposure of a slightly darker rock about a metre thick at the most. It is labelled ‘Lamotte Sandstone’ and seems to have a thin (5 cm) horizontal bedding, suggesting it was deposited from flowing water. The apparent bedding also suggests that the strata have not been significantly tilted or disturbed since being deposited. Grass and small plants are growing on top of the sandstone. It is not possible to identify the soil layer in which they are growing but it must be quite thin. Figure 2. A hypothetical soil profile. The A horizon has mineral particles mixed with finely divided organic matter that produces a dark colour. The B horizon is enriched in clay minerals, oxides and hydroxides removed from the overlying A horizon, and is lighter in colour. The solum or true soil is represented by the A and B horizons. The C horizon is largely unaffected by the soil forming processes and may be produced by chemical weathering of the underlying bedrock, or deposited by water or ice or volcanic activity. Its colour may vary. The R horizon is unweathered bedrock. Anyone wishing to understand paleosols first needs a basic understanding of modern soils and soil forming processes. Soils can develop from bedrock (such as hardened lava) as it weathers or from unconsolidated sediments.23 Most soils have three main horizons (layers) identified as A, B, and C horizons (Figure 2).23 The A horizon is found at the soil surface and is described as topsoil by most people. It is usually somewhat dark in colour due to additions of organic carbon from decaying plants. The B horizon is directly below the A horizon and has experienced leaching into or out of the horizon.23 B horizons tend to be lighter coloured than A horizons and browner than C horizons. In mature soils, the B horizon is typified by increased amounts of clay due to migration of clay from the A horizon. Clay films can be found in the B horizon which indicate clay movement into this horizon from above. The C horizon is usually weathered parent material. The first point about the alleged paleosol in Figure 1, which Meert described as an ‘excellent example of a well developed paleosol’, is that there is no reference to any root traces. The photo is too distant to distinguish them and their existence or otherwise is not mentioned in the text. In other words, the first and ‘most diagnostic feature’25 of a paleosol is not addressed. However, even when root traces are described for claimed paleosols (ones clearly from Flood deposits) the roots are often simply interpreted from plant fragments, or even from empty tubular cavities interpreted as root trace fossils.26 These features can be just as easily interpreted as the product of processes consistent with the Flood framework, such as plant material being transported into place, or water escape cavities. The second and most important thing to notice about this ‘excellent example’ is that there is no evidence of any soil profile development. The alleged paleosol has the same colour as the granite from which it has been derived, and at best could be described as decomposed granite. There is no hint of any development of either a B horizon (with the addition of clay or precipitates due to leaching) or of an A horizon (with the addition of organic carbon). The third field characteristic used to interpret paleosols is soil structure. Soil structures appear massive or hackly at first sight.27 Presumably Meert used this characteristic as his criteria for interpreting the paleosol in Figure 1. However, just because a geological horizon is loose and friable does not mean that it developed by subaerial weathering over a long time. There are other plausible ways of explaining this characteristic within a framework consistent with the biblical Flood, as we will see. Thus, there is no indisputable diagnostic evidence in the photograph to support Meert’s claim that the unconsolidated material is a well developed paleosol. In other words, just because someone calls something a paleosol and labels it as such does not mean it really is. Figure 3. Sequence of geological processes needed to produce and preserve a paleosol on Precambrian granite within a uniformitarian framework. 2. The overlying country rock (perhaps tens of kilometres thick) was slowly and completely eroded away by normal subaerial weathering processes until the granite pluton was exposed. For the whole of this period of weathering, a soil layer was continuously being produced at the surface and continuously being removed. 3. The land was then inundated by water which deposited sand (which later turned into sandstone) on top of the soil layer. The bedding in the sandstone indicates that the water was flowing and very energetic. 4. Finally, the sandstone was weathered away by subaerial processes until the small metre-thick section observed in the road cut today is all that is left. 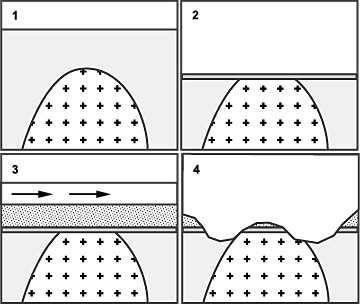 Step 3 is the one that presents a major problem for Joe Meert’s paleosol claim. How could flowing water, energetic enough to carry volumes of sand and produce horizontal flat bedding not remove the soil—a thin surface layer, which is friable and loose? Why wasn’t the granite washed clean like the rock outcrops we see jutting into the sea at the coast? What sort of amazing process could have preserved this soil layer on the granite in the midst of fast-flowing current of water? It seems that Meert’s choice of an ‘excellent example of a well developed paleosol’ is not helpful for his argument. At least the sequence of events required to produce such a ‘soil’ layer is feasible, unlike those in Meert’s example above. The first basalt flow could have been deposited subaerially. Then, over time, the basalt surface could have weathered into a soil layer as shown. And finally, a subsequent basalt flow could have flowed across the land and covered the soil. This rock sequence is at least plausible. The basalt plateau has been ‘dated’ as Late Oligocene, which places it late in geological history. The basalt plateau has also been extensively dissected by broad valleys suggesting that it was eroded during the last phase of the Flood by the considerable volumes of floodwaters still receding from the continent. Thus, from a Flood perspective we would expect the basalt to be a Flood deposit and the friable horizon would not be a true, subaerially weathered soil. When we examine the alleged paleosol in the field we find that it is simply a thick horizon of loose, friable, material. There is no evidence of root traces within it. Neither is there an A or B horizon. The evidence needed to convince us that the alleged soil is a soil is lacking. But there is more. First, if the thick friable horizon had been a soil layer before the subsequent eruption, we would expect to find a baked zone immediately under the basalt flow in the ‘old soil layer’, but none is present. Second, note the difference in topography between the present landscape and the landscape of the ‘old soil layer’. The present landscape has a significant vertical relief—it is a hilly terrain. Yet the old soil layers are straight, horizontal and parallel across the plateau. How could thousands or tens of thousands of years of weathering produce such a thick layer of soil without producing any topographical relief? Thus, even though the setting at Mapleton-Maleny has a better chance than Meert’s, it still does not make the grade as a real paleosol. Figure 5. Sequence of geological processes needed to produce and preserve a paleosol on Precambrian granite within a biblical Flood framework. 2. Later, still during the first half of the Flood, water flowing rapidly over the land eroded the country rock, exposed the granite, and deposited the sandstone on the granite. 4. After the Flood, the granite at the interface decomposed as a result of water pooling at the interface.37 The sandstone would be permeable and readily allow precipitation to flow through it to the interface. The granite would act as an impermeable barrier and cause the water to pool. Perhaps underground channels formed in particular areas as routes for the removal of the water from the landscape. Also, oxygen and organic acids would penetrate to the interface because the sandstone layer is so thin at this point. These are particularly aggressive in breaking down the minerals in the rocks, especially the more susceptible minerals in the granite such as biotite and amphibole, leaving the more resistant minerals such as quartz and feldspar. This is a simple, plausible model and does not invoke any miraculous processes to keep the ‘soil’ layer intact as needed in Meert’s paleosol hypothesis. A similar model can be applied to the loose, friable layers between the basalts on the Mapleton-Maleny plateau. In fact, the disintegration of the basalt in situ would have been much more rapid because heat from the basalt flows would have accelerated the chemical reactions. Thus, these two examples of paleosols are not troubling to Flood geology. Instead of paleosols, the friable horizons only have a superficial appearance of soil—they are pseudosols. In the uniformitarian literature there could be thousands of geological horizons which have been interpreted as paleosols. In fact, the whole paleosol methodology assumes the uniformitarian paradigm and is geared to interpret paleosols throughout the stratigraphic record. Although paleosols are common in the Quaternary they are rare in the earlier rocks and this makes sense within the biblical Flood framework and a post-Flood boundary in the late Cainozoic. It is not consistent with the idea of uniformitarianism which holds that recent geologic processes have applied through all geologic time. 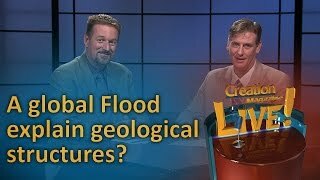 Most geologists have no insight into the biblical Flood framework and so are not alert to field clues which would discriminate between a true paleosol and a pseudosol. It would be an interesting (and almost endless) exercise to examine a wider range of alleged paleosols and reinterpret them within the Flood paradigm. Froede3 and Kleveberg and Bandy4 have addressed many of the issues on the topic and provide a good foundation for further field work. The uniformitarian claims about paleosols are similar to their claims about paleokarst. It was shown by Silvestru that alleged paleokarst in the Pre-Cenozoic is not karst at all, but pseudo-karst.38 True karstification occurred in a very specific window geologically—a window that is best explained from a Flood geology perspective.39 In the same way, soil formation from a Flood perspective fits into a very small window which can provide a great tool for field geologists to properly interpret the stratigraphic record. 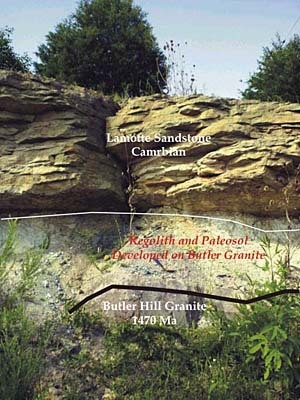 The presence of a loose, friable layer between the Butler Hill Granite and the Lamotte Sandstone in a road cut on Missouri State Highway 67 represents no ‘strike’ against the biblical Flood or young-earth creationism. Neither does the alleged ‘old soil layer’ on the Mapleton-Maleny Plateau, Queensland, Australia. Rather than an ‘anathema’ to young-earth creationists, when we look at the field evidence from a biblical perspective, we find it fits the biblical framework much better than the uniformitarian one. The alleged soils did not form by subaerial weathering over a long time, but by in situ ‘weathering’ during and after the global Flood. In the final analysis, unless it has been historically attested, the concept of a paleosol is merely an interpretation, not an observed scientific fact. In his case against ‘young-earth creationism’, Meert used Figure 1, above, as the prime exhibit of a ‘paleosol’. Following publication of this Journal of Creation article, Meert changed the image on his web page (reproduced here). He reduced the width of the photo to about 57% to correct a scaling error he made on the original gif image. He also changed the position of the lines used to delineate the alleged ‘paleosol’. These lines now omit the ‘scree’ (loose debris) associated with the larger clasts on the left. Even in this 200 dpi image, these clasts are clearly visible and I noted them in the above article. He has also changed the label from paleosol to ‘Regolith and Paleosol’, backing away from the claim that all the loose material was once a soil. None of Meert’s changes affects the arguments in the above article or the conclusion. In fact, Meert himself now admits that this picture was not a good example. He says that his photo was not intended to document the paleosol and that he will take some better photos next time he visits the site. That won’t help because this loose material does not represent a paleosol. Nothing in the example Meert has presented represents any sort of challenge to the biblical Flood. This exchange illustrates how to respond to such anti-creationist challenges. It is important to ignore the bluff and bluster, and carefully examine the evidence. When we do, the supposed problems disappear and those who are making the charges frequently change their story. I am grateful to Peter Klevberg and Rick Bandy for input, feedback and suggestions on this paper. Faure, G., Principles and Applications of Geochemistry: A Comprehensive Textbook for Geology Students, 2nd Ed., Prentice Hall, Upper Saddle River, p. 355, 1991. Return to text. Meert, J., Radiometric Dating, Paleosols and the Geologic Column: Three Strikes against Young Earth Creationism, <www.gondwanaresearch.com/hp/paleosol.htm>, updated 3 July 2002, downloaded 14 July 2003. Return to text. Froede, C.R. Jr., Field Studies in Catastrophic Geology, Creation Research Society Books, pp. 21–28, 1998. Return to text. 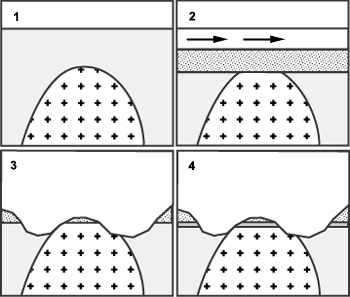 Klevberg, P. and Bandy, R., Postdiluvial soil formation and the question of time: part I—pedogenesis, CRSQ 39(4):252–268, 2003. See also: Klevberg, P. and Bandy, R., Postdiluvial soil formation and the question of time: part II—time, CRSQ 40(2):99–116, 2003. Return to text. Lorey, F., The Flood of Noah and the flood of Gilgamesh, Impact 285, Institute for Creation Research, 1997. Return to text. Hong, S.W., Na, S.S., Hyun, B.S., Hong, S.Y., Gong, D.S., Kang, K.J., Suh, S.H., Lee, K.H. and Je, Y.G., Safety investigation of Noah’s Ark in a seaway, TJ 8(1):26–36, 1994. Return to text. Woodmorappe, J., Noah’s Ark: A Feasibility Study, Institute for Creation Research, El Cajon, CA., 1996. Return to text. Down, D., Searching for Moses, TJ 15(1):53–57, 2001. Return to text. Batten, D. (Ed. ), The Updated and Expanded Answers Book [now The Creation Answers Book], Answers in Genesis, pp. 63–82, 1999. Return to text. Woodmorappe, J., The Mythology of Modern Dating Methods, Institute for Creation Research, El Cajon, CA., 1999. Return to text. Austin, S.A., Excess argon within mineral concentrates from the new dacite lava dome at Mount St Helens volcano, TJ 10(3):335–343, 1996. Return to text. Collinson, J.D., Alluvial sediments; in: Reading, H.G., Sedimentary Environments: Processes, Facies and Stratigraphy, 3rd Ed., Blackwell Science, pp. 37–82, 1996, lists examples of papers and publications. Return to text. A paleosol bibliography, <www.geocities.com/earthhistory/pweathering.htm>, 14 July 2003. Return to text. Retallack, G.J., Soils of the Past: An Introduction to Paleopedology, Allen and Unwin, London, 1990. Return to text. Reinhardt, J. and Sigleo, W.R. (Eds. ), Paleosols and Weathering Through Geologic Time: Principles and Applications, Special Paper 216, The Geological Society of America, 1988. Return to text. Geology 435/535 Paleopedology, <www.uoregon.edu/~dogsci/retail/Paleoclasses/geol435.htm>, 14 July 2003. Return to text. Hunter, M.J., The pre-Flood/Flood boundary at the base of the earth’s transition zone, TJ 14(1):60–74, 2000. Return to text. Austin, S.A. and Wise, K.P., The pre-Flood/Flood boundary: as defined in Grand Canyon, Arizona and Eastern Mojave Desert, California; in: Walsh, R.E. (Ed. ), Proceedings of the Third International Conference on Creationism, Creation Science Fellowship, Pittsburg, pp. 37–47, 1994. Return to text. Froede, C.R. Jr., Precambrian metazoans within a young-earth Flood framework, TJ 13(2):90–95, 1999. Return to text. Day, R.W., Whitaker, W.G., Murray, C.G., Wilson, I.H. and Grimes. K.G., Queensland Geology: A Companion Volume to the 1:2,500,000 Scale Geological Map (1975), Geological Survey of Queensland, Publication 383, 1983. Return to text. Reinhardt, Ref. 16, p. vi. Return to text. Faure, Ref. 1, pp. 354–358. Return to text. Retallack, G.J., Field recognition of paleosols; in: Reinhardt and Sigleo, Ref. 16, pp. 1–20. Return to text. Retallack, Ref. 24, p. 7. Return to text. Retallack, Ref. 24, pp. 1–7. Return to text. Retallack, Ref. 24, p. 9. Return to text. Retallack, Ref. 24, p. 10. Return to text. Snelling, A.A. and Woodmorappe, J., The cooling of thick igneous bodies on a young Earth; in: Walsh, R.E. (Ed. ), Proceedings of the Fourth International Conference on Creationism, Creation Science Fellowship, Pittsburgh, pp. 527–545, 1998. Return to text. Snelling, A.A., ‘Rapid’ granite formation, TJ 10(2):175–177, 1996. Return to text. Walker, T., Granite grain size: not a problem for rapid cooling of plutons, TJ 17(2):49–55, 2003. Return to text. Willmott, W.F. and Stevens, N.C., Rocks and Landscapes of the Sunshine Coast, Geological Society of Australia (Queensland Division), Brisbane, pp. 25–26, 1988. Return to text. Walker, T., A biblical geological model; in: Walsh, R.E. (Ed. ), Proceedings of the Third International Conference on Creationism, Pittsburgh, pp. 581–592, 1994. Return to text. Alternatively, the loose friable material upon the granite could have resulted initially from water facilitating convective cooling of the pluton, as well as post-Flood lateral groundwater movement. These alternative scenarios would need to be tested in the field by carefully examining the outcrop (rather than a low resolution photograph). It would be necessary to check the paleohydraulic information in the sandstone and determine whether there is incorporation of granite material or soil clasts into the sandstone. Return to text. Silvestru, E., Paleokarst—a riddle inside confusion, TJ 14(3):100–108, 2000. Return to text. 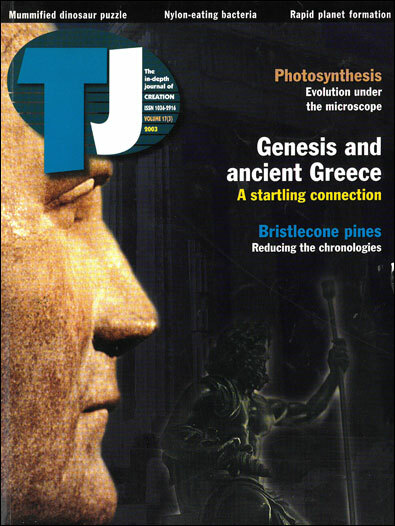 Silvestru, E., The riddle of paleokarst resolved, TJ 15(3):105–114, 2001. Return to text. Willmott and Stevens, Ref. 33, p. 25. Return to text.